This is terrific! Even on a guy. Who knew? 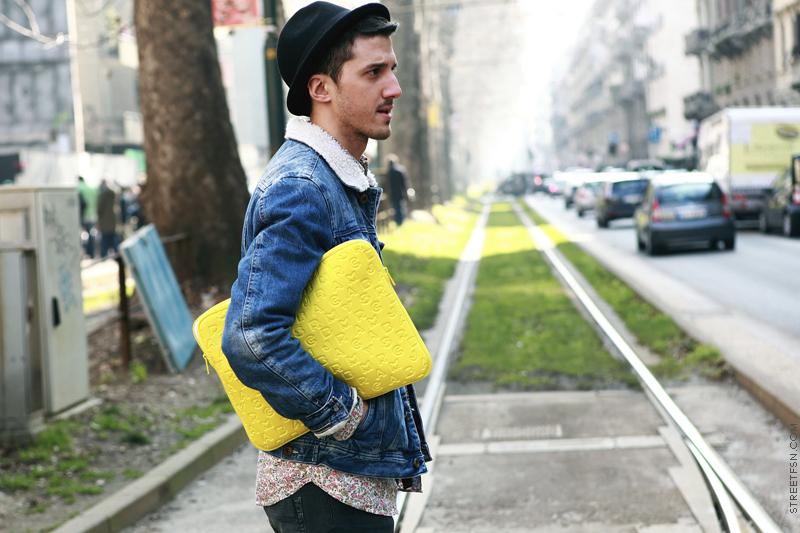 that yellow laptop sleeve is so awesome!!! love! i need one asap! it would be cool if the girl in the fedora pic below had one too :) bright, YaY! Love it. I have that case in neon pink! He looks effortleesly chic,and the laptop bag is amazing!!! i'm feeling this playful look! Love the picture and that Marc Jacobs laptop bag is amazing! he has a great profile, and i love his floral-print shirt. Ah that blouse is too cute! i would love to know where i can find a jean jacket like this.